NEIGHBOURHOOD RESIDENTIAL ZONES – CERTAINTY? Posted on September 22, 2014 | Comments Off on NEIGHBOURHOOD RESIDENTIAL ZONES – CERTAINTY? Readers may or may not be aware of the spike in multi-unit, 3 & 4 storey planning applications in the areas designated as growth zones* (ie. former Housing Diversity Areas). GERA’s previous postings (“Enough is Enough” Part 1 and Part 2) highlighted residents’ concerns re developments in Mavho and Loranne Streets in Bentleigh. GERA is now receiving requests for objection preparation assistance from growth zone residents in all suburbs within the municipality. In all cases the development is seeking the maximum building envelope allowable (i.e. height, site coverage) with little regard for neighbourhood character. Growth zone residents are becoming increasingly vocal in their criticisms of Council’s zone implementation (lack of consultation and information) and Councillors’ responses to their concerns related to specific planning permit applications. July 2013 – (Glen Eira Council Attendees – CEO Newton, Director of Planning Akehurst and then Mayor Jamie Hyams) – “Council believe that subdivision prior to unit development is the way around the maximum 2 dwelling within the NRZ”. Use of subdivision is a legitimate and accepted means of dividing a one lot into 2 or more smaller lots for purposes of sale or development. While residents of middle ring suburbs may be accustomed to subdivision occurring post construction (ie. creation of strata tiles for multi-unit, multi-storey developments), it may also occur prior to construction (eg. for financing or other purposes) to increase a lots dwelling yield. To achieve the levels of “certainty” and “protection” outlined in the Media Releases, Glen Eira’s zone implementation should have not only included height limits and the maximum no. of dwellings per lot in the mandatory zone definition but also minimum lot size. Many other Councils have specified a minimum lot size or a minimum lot size range (eg. 250 – 400 sqm). However, rather than specifying a minimum lot size Glen Eira has retained the previously existing criteria – if a lot size is larger than average (average determined as being the average lot size of the immediate surrounding properties). While this may have been effective in past, is expected to become much less effective in the future as more and more “immediate surrounding properties” are subdivided. The Financial Review recently (5/9/2014) published an article entitled “Property Strategy: Subdivide and Conquer” on this issue. In addition, to the known subdivision issue, Council’s implementation of the zones overlooked the implications for large lots (a.k.a “super lots”, lots equal to or greater than 2000 sqm). To overcome this oversight, in December, 2013, Councillors unanimously approved preparation of Planning Scheme Amendment C115 for large lots within the Neighbourhood Residential Zone. This amendment would have introduced a minimum lot size of 400 sqm for the 104 properties** within the NRZ that are greater than 2000 sqm. (Some of these lots are 8000 sqm). As stated in the report recommending preparation of the C115 Amendment, the amendment was proposed in response to pressures from developers and the realization that rather than subdivide, the developers preferred to seek spot Ministerial intervention to re-zone the super lots to General Residential Zone (3 storey, multi-unit developments). Such an intervention having been achieved by the developer of the Alma Club (7,100 sqm) which Council acknowledges as not noticed prior to the zone implementation. was a reasonable solution to Council failing to recognise the 2 dwelling per lot issue for large lots prior to zone implementation. GERA doubts any resident would agree that “super lots” should be constrained to the 2 dwelling ruling. may set a minimum lot size precedent for the NRZ which would be applied to all subdivisions in that zone. Within the NRZ there are many, many existing lots in the 800 – 1999 sqm range that are may be subdivided to increase their dwelling yield. “Amendment C115 concerns large lots (greater than 2,000m2) located within the Neighbourhood Residential Zone. The aim of the amendment is to increase the number of dwellings beyond 2 which would be the maximum number for a large lot zoned Neighbourhood Residential Zone (NRZ). Council cannot exhibit the amendment until authorisation is obtained from the Department of Transport, Planning and Local Infrastructure (Minister). The authorisation to prepare Amendment C115 for ministerial approval to submit for consultation was undertaken without advice from the Minister. Council officers and the Minister disagree on the solution and the Amendment has stalled. No advice was given on the pro’s and con’s of either solution. Council’s preferred approach is for the developer to prepare a subdivision plan for each of the “super lots” as and when development is imminent. Subdivision prior to development remains a “way around the maximum 2 dwelling within the NRZ” regardless of the size of the lot. At the last Council Meeting (02/09/2014) a subdivision plan, combined with building envelopes, was approved for the “super lot” located at 487 Neerim Road, Murrumbeena (3,142 sqm). Readers may remember that GERA lobbied Council, in December, 2012, to acquire this a cleared lot, adjacent to the existing the Riley Reserve, which would have substantially increased (60%) Riley Reserve and increased Glen Eira’s very limited parkland. Unfortunately, although a unique opportunity, Council did not acquire the property either in 2012 when it was sold to a developer ($2.7m) or in 2013, when it was on-sold for development (amount unknown). A previously VCAT issued planning permit for the site (“three (3) storey apartment building containing 28 dwellings above basement parking”) had lapsed prior to the 2012 sale and a “new” planning permit application had not been submitted prior the 2013 sale. Planning approval of “building envelopes” (i.e. high level plans) for 7 two storey residences (one per subdivided lot). The Officer’s Report reports the application “yields a density of approximately 1 dwelling per 448 square metres of site area”. However, residents should not confuse density yield with lot sizes. The density yield of 448 sqm is the result of a dividing the total lot size (given in the Report as 3138 sqm) with the number of dwellings. The actual lot sizes are much smaller than the density yield. The Officers Report states that “The application is not a development application for multi-dwellings. The subdivision includes building envelopes for seven (7) future double storey dwellings”. 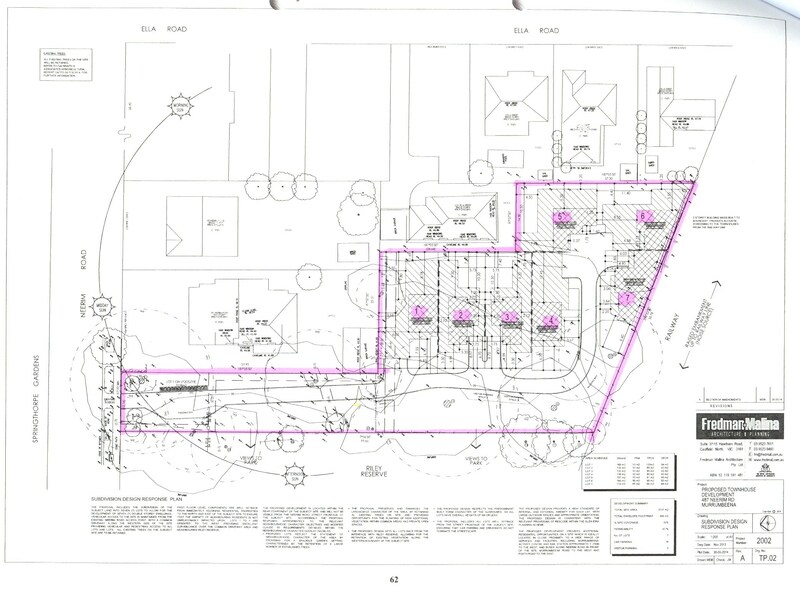 However, GERA is struggling to see why a subdivision plan for 7 lots and 7 building envelopes (which define building heights, foot prints and setbacks) should not be considered as a development application for multi-unit dwellings. Residents future rights to lodge objections as more detailed plans become available may be curtailed (as with the Caulfield Village Development) because building heights, footprints and setbacks have already been approved. ** “Super lots” – The Officers Report did not include any details (eg. ownership, location, size) of the 104 “super lots”, nor did the Report indicate if Council was considering lodging a Parkland Acquisition Overlay on any or each of the properties. Comments Off on NEIGHBOURHOOD RESIDENTIAL ZONES – CERTAINTY? o who made the decision? o what information was provided to ensure an informed, impartial decision was made? o did Councillors have some input into the decision or were they advised after the decision was made? The answers to questions 1 and 3 above are answered via the belated inclusion of the the Records of Assembly+ in Council’s just published agenda for next Tuesday’s (26/2/2013) Council Meeting – extracts of Agenda Items 8b i and 8b ii. The relevant minutes for the assemblies of 11th and 18th December, 2012 make no mention of any discussion on the acquisition of the 487 Neerim Road property occurring at either assembly. Ergo, the decision (implicit in Council’s 14/12/2012 letter to GERA) not to purchase the property was not made by Councillors and Councillors had no input into the decision. Council’s abysmal performance in acquiring additional open space (since 2003 only the two Packer Park house lots have been acquired for $1.9m. Yet, for the same period, Council received $12.8m in Open Space Contributions from high density developers). The failure to discuss with, or involve Councillors in, this open space issue (in either an open Council Meeting or an assembly) raises serious questions on how governance is practiced in Glen Eira. Who makes decisions and on what information is the decision made? How are decisions communicated to Councillors and residents? What weight is given to the community’s expressed values? Councillors may delegate authority to act on their behalf, however, the responsibility for the actions taken remains with Councillors. How are decisions made under delegations reported to them? What ability do they have to question administrative actions or to raise residents issues at Council (i.e. with other Councillors and the Administration)? + An “Assembly of Councillors”, as defined in the Local Law, is an in camera briefing session, involving both the Administration and Councillors, to enable the Administration to report day to day activities to Councillors and inform (or highlight to) Councillors of current and future significant issues – particularly issues that are likely to be contentious. As per Local Law decisions are not permitted to be made at Assemblies, decisions can only be made at Ordinary (open) Council Meetings. The Delegations of Authority, Councillors have given to the Administration are wide ranging. Reporting to Councillors of administrative decisions made, under delegations of authority, is at the discretion of the administration. To make it easier for readers, GERA has included relevant extracts of the Records of Assembly included the referenced Agenda for the 26/02/2013 Council Meeting. For those interested, a full copy of the Agenda is available from Council’s website – the relevent Agenda Items are 8b i and ii. GERA’s above posting and our earlier (9/2/2013) posting regarding Council’s decision not to purchase the 487 Neerim Road property incorrectly states that Council did not respond to our 15/12/2012 email. This is incorrect – the Mayor’s response is dated 24/12/2012 and GERA apologizes to Council, Members and Readers for this omission. While GERA accepts responsibility for this omission, GERA contends that the points raised in our various postings for considering purchasing the property remain valid and seriously questions Council’s decision making process and Councillor input into that process. GERA has delayed updating our earlier postings urging Council to acquire the rare and unique 3142 sqm property at 487 Neerim Road, Murrumbeena, until Council and/or individual Councillors responded to our 15/12/2012. GERA’s 15/12/2012 was the last in a series of correspondence with Council commencing on 06/12/2012. Regretably GERA reports no further response from Council. 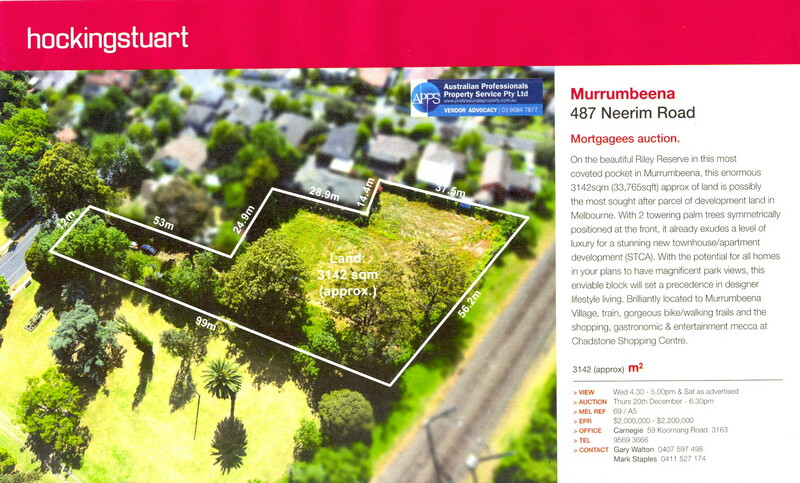 Acquisition of the property (and recognised significant vegetation+ – pictures) would which have resulted in a 40-50% increase in the Riley Reserve, Murrumbeena – a reserve located equidistant from, and within easy walking distant of, the Hughesdale and Murrumbeena Housing Diversity Housing Areas (targeted as high density development areas) – for a cost more favourable than the acquisition of 2 house lots in Packer Park (acquired during the 2008-2012 Council term). On 20/12/2012, the property was auctioned and sold for development. Although the property is located in a Minimal Change Area, in 2009 (and despite receiving a significant number of objections) Council granted a planning permit for 2 two storey buildings (23 dwellings) on the site (as a result of a developer appeal to VCAT site intensity was later increased to 3 stories and 26 dwellings) – Extract from Council Meeting Minutes – 30th June, 2009. Residents are now extremely concerned that site intensity will be further increased and that Council actively enforces vegetation protection measures lodged/proposed on the site in 2009*. GERA’s 15/12/2012 letter was in response to Cr. Jamie Hyams letter of 14/12/2012 which, without explicitly stating that a decision not to purchase the property had been made, outlined Council’s reasons for not acquiring the 487 Neerim Road property. In addition to re-iterating the open space benefits the property presented, GERA’s 15/12/2012 letter also requested an opportunity to discuss acquisition of the property and clarification of a number of points raised by Cr. Hyams. Even though Council “responsiveness goals” includes a commitment to respond to all correspondence from residents, GERA has yet to receive a response from either Council or any individual Councillor (all Councillors were copied in all correspondence from GERA). It should be noted that although GERA’s sent copies of all it’s letters to all Councillors, Cr. Hyams’s letter does not show that copies were forwarded to each Councillor. As mentioned in many previous posts, Glen Eira has the least amount of per capita open space in metropolitan Melbourne. Glen Eira’s per capita open space at 1.4 hectares per 1000 is half of the average for Melbourne and is falling even lower as development intensifies in Housing Diversity (high density) Areas and the expansion of pavilions and associated car parking consumes open space. o what information was provided to ensure an informed, impartial decision was made? The information presented should have been extensive and have included, but not be limited to, Council’s current and future financial position, project population growth for the Hughesdale and Murrumbeena Housing Diversity (high density), projections of future open space availability and costings across Glen Eira, potential economies in parkland maintenance, costs of purchase and rehabilitation of the property. Possible acquisition of the 487 Neerim Road was not discussed at the Ordinary Council Meeting of 18/12/2012 – the property was auctioned on 20/12/2012. The Records (ie. minutes) of the Assembly+ included in the Minutes of the 18/12/2012 are prior (4/12/2012) to GERA’s initial correspondence (6/12/2012) recommending Council consider purchasing the property. At last Tuesday’s Ordinary Council Meeting (5/02/2013) – the first for 2013 – again no mention was made of 487 Neerim Road property. Nor were any Records of Assembly, for the intervening period (05/12/2012 – 05/02/2012) presented to the meeting. Under the wide ranging Delegations of Authority*, Councillors have given to the Administration, the decision not to purchase the property may have been made without Councillor input (who were informed after the decision had been made). Reporting to Councillors of administrative decisions made, under delegations of authority, is at the discretion of the administration. Please note that the above questions are not only pertinent in this instance. GERA regularly receives these questions from residents on a range of issues – from planning permit approvals, tree felling, concrete plinths in parks to traffic and parking management. Increasingly residents report feeling that decisions are made by the Administration with little or no input from Councillors. o “New open space may well be of even greater priority than enlarging existing open space” . Such a statement not only lacks justification but also implies a limitation on the parkland opportunities that will be considered rather than assessing each opportunity on it’s own merits. Additionally, this emphasis placed on “new open space”, which references the Booran Road Reservoir Park (formerly the Glen Huntly Reservoir), raises a question on Council’s priorities. Council’s at-no-cost acquisition of the land was first mooted in the late 1990’s, Council’s first community consultation on the proposed park occurred in March, 2008, yet rehabilitation works will not be commenced until 2017 and will not be completed until 2019/2020. o “Council’s priorities will be to adopt and implement a prioritized and costed plan to meet the communities need for public open space”. Such a statement lacks clarity as it implies focus on events that can be planned and costed (eg maintenance of existing parkland, pavilion developments) rather than recognising the unexpected nature of real estate opportunities. It also adds strength to residents arguments that Council hold a specifically designated fund (eg. the Open Space Levy paid by developers – which has generated $12.8m since 2003) in reserve to enable Council to take advantage of unexpected opportunities. Residents should also note that since 2003 Council acquisition of additional parkland has been restricted to the 2011 purchase of 2 house lots abutting Packer Park for $1.9m. This purchase was an “enlarging of existing open space”. o manner and means for Council to achieve the objectives are clear cut and unambiguously defined. o regular reporting of Council’s performance to residents, with defined content, is included. * Significant Vegetation – pictures. GERA representatives and residents confirm that the vegetation mentioned in the below extract are still exist on the site and are healthy. Extract from above referenced June 2009 Council Minutes – “The current application seeks to retain 14 significant trees on the subject site, including 3 significant Tallow Woods and 2 Washingtonia Palms … Council’s Landscape Assessment Officer has confirmed that, subject to the careful implementation of tree protection measures, all significant trees can be retained. • Ongoing maintenance of trees and landscaping in accordance with the Tree Management Plan by the future residents of the competed development. + An “Assembly of Councillors” , as defined in the Local Law, is an in camera briefing session, involving both the Administration and Councillors, to enable the Administration to report day to day activities to Councillors and inform (or highlight to) Councillors of current and future significant issues – particularly issues that are likely to be contentious. As per Local Law decisions are not permitted to be made at Assemblies, decisions can only be made at Ordinary (open) Council Meetings. Assembly meetings are usually held every Tuesday. In the event of an Ordinary Council Meeting being held on the same day, the Assembly occurs prior to the Ordinary Council Meeting. As the Christmas/New Year Holiday period falls within the 4/12/2012 – 05/02/2013 timeframe, it is acknowledged that Councillor Assemblies may not have been held on a regular weekly (Tuesday) basis. However, Assemblies would have been held and the absence of these records is disconcerting and, as previously mentioned, is as disconcerting as it was during the GESAC opening delays. Although the records/minutes containing minimal information (ie. attendees and topic headings), they do advise residents that the issue was raised at the Councillor level rather than handled solely by the Administration. Unfortunately, due to the absence of Records of Assembly since 4/12/2012 to the 5/02/2013, GERA is unable to advise residents if Councillors were involved in the decision not to purchase the property or the extent of their involvement in the decision. As much as GERA would like to report that Glen Eira Council acquired the rare and unique 3142 sqm open space opportunity at 487 Neerim Road, Murrumbeena, we are unable to. Regrettably, the property went under the hammer at 6.30 tonight and was passed in at $2.6m with the vendor’s representative being confident the property would be sold later this evening – presumably for high density multi-unit dwellings. Council was noticeably absent. Although at less than 20% higher than the top of the quoted sale price of $2.2m, the final negotiated sale price should be well within Council’s range (given the almost $2m paid for 2 Packer Park house lots which were considerably smaller than the Neerim Road property, lacked mature native vegetation and required demolition and rehabilitation works). acquisition of the property was not mentioned at last Tuesday’s (18/12/2012) Council Meeting (nor was it discussed at any previous ordinary Council Meeting). Council’s only response has been a letter, from Mayor Hyams (refer to our earlier posting below), outlining the reasons why Council was not considering purchasing property. No individual Councillor responded. Council’s failure to consider purchasing the property is another instance where Council’s encouraging words are not matched with corresponding actions. Since 1998, residents have continually expressed concern over Glen Eira’s lack of public open space and the need to acquire additional open space in both the Community/Council Plan and the State Governments Satisfaction Survey. At last Tuesday’s Council Meeting a Public Question (Council Minutes 18/12/2012 – Section 11.4) re the value of revenue collected from the Open Space Levy paid by developers over the past 10 years and how it was spent (parkland acquisition vs maintenance/development of existing parks) was asked. Council’s response was that for the period “2003/4 to 2011/12 … During those nine years Council received $12,769,669. … Council spent $1.911m acquiring the properties abutting Packer Park”. that Council’s original proposal for funding of the acquisition of the 2 Packer Park properties was to sell the former Packer Park bowling club rather than using Open Space Levies paid by developers. linking the acquisition of the Packer Park house lots with the open space levy is somewhat redundant since these house lots are in fact the only additional parkland purchased by Glen Eira in the past 9 years. The 1998 Open Space Strategy recommended that there be “a 50% split between acquisitions and improvements”. Based on the figures presented above, which show an 86:14 split, Council has not complied with the recommendation in their own strategy. Glen Eira open space levy rates vary across the municipality and rarely is the full 5% charged. (Glen Eira Planning Scheme – Open Space Levy Rates). Most Council’s charge an across the board 5% (ie for all areas within their municipality). While other Council’s set aside the open space levy revenue for the specific purpose of purchasing new/additional parkland rather than parkland maintenance, Glen Eira does not. Consequently, when unexpected open space opportunities arise other Council’s have funds readily available to act on the opportunities, Glen Eira does not. The Recreation Land Fund, which was previously created (circa 1998) to set aside funds for parkland purchases is no longer included in Glen Eira accounts. “New open space may well be of even greater priority than enlarging existing open space” . Such a statement implies a limitation on the parkland opportunities that will be considered rather assessing each opportunity on it’s own merits – size, cost (acquisition and rehabilitation), the localities expected population growth etc. are some, but not all, factors that should be considered. “Council’s priorities will be to adopt and implement a prioritised and costed plan to meet the communities need for public open space”. Such a statement lacks clarity as it implies focus on events that can be planned and costed (eg maintenance of existing parkland, pavilion developments) rather than recognition of the unexpected nature of parkland opportunities. The current Glen Eira Open Space Strategy is dated 1998. As mentioned previously, Glen Eira residents have been voicing the need to increase open space since this time. The Open Space Strategy is a strategy that should have been regularly monitored and reviewed to ensure that the policy continually meets the needs of the community, particularly when the community is experiencing dramatic population growth and high density multi-unit developments. Unfortunately this has not happened and the strategy is now the subject of a major re-write. With the impending new Open Space Strategy review and community consultation residents should again be vocal about their wishes and actively ensure Council adheres to the strategy in coming years. Unique opportunities such as this particular property should not be let go – they should be actively sought and secured for current and future residents. The Sold sticker was on the property’s real estate sign this morning. OPEN SPACE – ANOTHER OPPORTUNITY LOST? Posted on December 15, 2012 | Comments Off on OPEN SPACE – ANOTHER OPPORTUNITY LOST? outlined the benefits of acquiring the property, located within easy walking distance of the Murrumbeena, Hughesdale and Dandenong Road Housing Diversity (high density) areas. The following is GERA’s response, dated 15/12/2012, to the Mayor’s letter. The response has been forwarded, via email, to all Glen Eira Councillors. 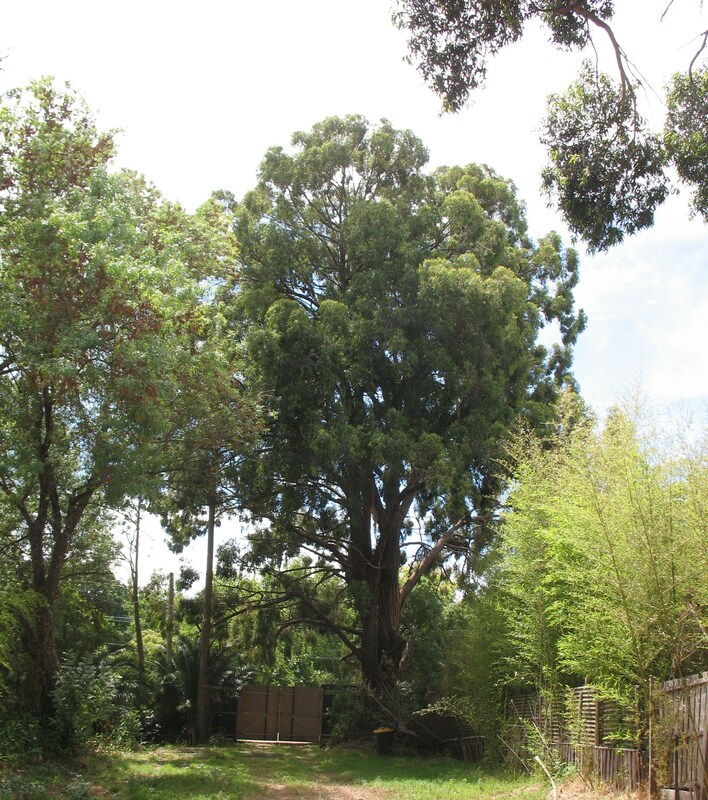 Thank you for your 14th December, 2012, response to our recent letter (6/12/2012) alerting Council to a rare opportunity to acquire additional parkland (487 Neerim Road, Murrumbeena). While GERA accepts that Council (like every organisation and individual) has finite resources and needs to prioritise those resources, Council (like every organisation and individual) also needs to retain a degree of flexibility so that unexpected/unplanned opportunities can be capitalised. For the reasons outlined in our above mentioned letter (copy attached), GERA believes that acquisition of 487 Neerim Road is one such unexpected/unplanned opportunity and requests Council reconsider it’s decision not to purchase the property. While GERA does not contest the distinction between our wording of the 2 house lots “adjoining Packer Park” vs. your wording of “jutted in to the park”, GERA points out that the property at 487 Neerim Road is considerably larger than the 2 house lots, has the added benefit of possessing mature native vegetation and additionally is not encumbered by the presence of buildings. The Neerim Road property estimated price of $2.2m+ therefore compares favourably with the Packer Park house lots (almost $2m) which required demolition and rehabilitation works. Since the former bowls green at Packer Park was Council property (which it is noted Council originally proposed to sell to fund the acquisition of the 2 house lots), no acquisition costs were incurred. In the period 2006/8, the Glen Huntly Reservoir was declared surplus to South East Water requirements and an “ïn principle” agreement to transfer the land to Glen Eira Council for conversion to public open space was made. In March, 2008 (prior to the November, 2008 Council elections) Council held a public consultation on proposed usage at which residents voted overwhelmingly against selling the reservoir site for development and in favour of conversion to parkland. In 2010, the wheels of government moving slowly, management responsibility (not ownership) for the land was officially transferred to Glen Eira. Council’s 2012 10 year Strategic Resource Plan includes the following budgeted amounts for reservoir conversion – 2017/18 $4m, 2018/2019 $3.5m. While GERA welcomes the addition of this new park, particularly as it is located in the Glenhuntly Housing Diversity (high density) area, GERA recognises that, unlike 487 Neerim Road, acquisition of the reservoir site is a planned opportunity and that the proposed new park will not become a reality for some considerable time. GERA supports Council’s advocacy for the Caulfield Racecourse Centre and the Elsternwick Plaza. However, it is noted that neither are new parks, or involve additional parkland. Additionally, Council advocacy for these two parks is not new – Council advocacy for the two was included in the soon to be replaced 1998 Open Space Strategy. In relation to the centre of the Caulfield Racecourse, Council’s 2011 agreement with the Melbourne Racing Club appears to have stalled since improvements (eg. removal of the Queens Avenue palisade fencing) have failed to meet their scheduled completion date. As with Council Advocacy, GERA welcomes and supports the proposed new Open Space Strategy. Replacement of Council’s 1998 Open Space Strategy is long overdue as, over the past 14 years, the policy has failed to keep pace with Glen Eira’s population growth and the changing needs (re parkland requirements and parkland usage) that accompanies such dramatic population growth. open space accessibility, within the area or suburb, is restricted by railway lines. GERA would welcome the opportunity to further discuss this issue, and the related issue of funding of future open space acquisitions, with Council. GERA acknowledges that Glen Eira’s limited open space is well maintained and that open space maintenance involves considerable expense. It should be noted that residents question some of Council’s maintenance decisions (e.g. installation of concrete plinths, pavilion expansions), particularly when the expenses incurred by those decisions are seen to prevent or limit acquisition of additional open space. The need for flexibility and willingness to take advantage of unexpected open space opportunities, is reflected and highlighted by your mention of the $1.1m Murrumbeena Play Space Project The Murrumbeena Play Space Project experienced a “leap forward” in the priority list when the unexpected State Government Grant ($259K) was announced and Council was able to unexpectedly provide the additional $850K required. brings into question Council’s focus on GESAC debt reduction at the expense of acquisition the 487 Neerim Road property. GERA seeks clarification on the $7.1m fund shortfall and its impending payment mentioned in your letter. The clarification GERA seeks is the related to reconciling the significance and urgency applicable to payment of the Defined Benefit Fund shortfall as outlined in your letter and the Leader Article. As mentioned in this letters introduction, Council also needs to retain a degree of flexibility so that unexpected/unplanned opportunities can be capitalised. The closing comment that “Council’s priorities will be to adopt and implement a prioritised and costed plan to meet the communities need for public open space” does not reflect the community’s open space aspirations included in the 2012 Community Plan nor does it reflect unplanned/unexpected nature of open space opportunities. Without the flexibility and willingness to take advantage of open space opportunities as they become available, Council’s vision is incomplete and the community’s needs will never be met. reconsider it’s decision not to purchase 487 Neerim Road. GERA looks forward to receiving Council’s response to this letter. Comments Off on OPEN SPACE – ANOTHER OPPORTUNITY LOST? OPEN SPACE – ANOTHER OPPORTUNITY? Posted on December 6, 2012 | Comments Off on OPEN SPACE – ANOTHER OPPORTUNITY? The following is the content of a formal letter, delivered today to Mayor Jamie Hyams, alerting Council to an opportunity to acquire a significant parcel of cleared land (3142 sqm) which abuts Riley Reserve, Murrumbeena, and could readily be incorporated into the Reserve. As the property’s auction date is 20th December, 2012, GERA realises time is of the essence (as is typical of unexpected or unplanned opportunities) and trusts that Council will undertake actions to acquire the property. GERA and Glen Eira residents look forward to Council’s response which will be posted on this website. Residents may wish to make their own representations to Councillors re the acquisition of the land. 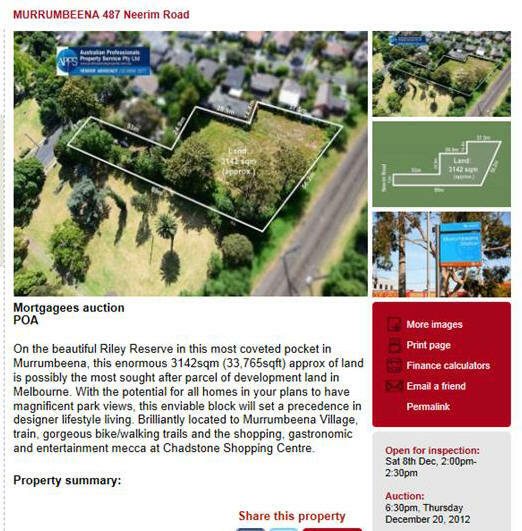 We are writing to alert Council to a rare and unique opportunity to purchase a large property (3142 sqm) at 487 Neerim Road, Murrumbeena which adjoins Riley Reserve and would be a significant addition to Glen Eira’s parklands. The following advertisement re the sale of this property appeared in “The Weekly Review”, dated 28th November, 2012. Additional details from the Agents Website are provided as an attachment. 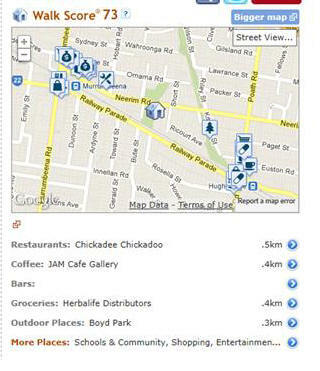 GERA strongly advocates that Council give appropriate consideration to acquiring the property for the purposes of increasing Glen Eira’s limited public open space (on a per capita basis, Glen Eira has the least open space in metropolitan Melbourne – Glen Eira 4 hectares per 1000, average for Metro Melbourne 7 hectares per 1000). The property has been cleared of previously existing dwellings while significant mature vegetation has been retained. Therefore, costs of converting the property to public open space would be minimal. The top estimated price for the property is $2.2m which favourably compares to the $2m Council paid for 2 house lots adjoining Packer Park in 2011. The 487 Neerim Road property is approximately 25% larger than the 2 Packer Park house lots and, unlike the 2 Packer Park lots, does not require demolition works. The property is located in a minimal change area and acquiring the property for parkland would add significantly to local amenity and retention of the neighbourhood character and streetscape. The property is conveniently located close to the Chadstone Shopping Centre and the Murrumbeena, Hughesdale, Dandenong Road Housing Diversity (high density) areas. All three housing diversity areas are undergoing rapid transformation from being predominantly single/dual occupancy and 1-2 storey dwellings to becoming high rise (minimum 3-4 stories) multiple unit dwellings with limited private or communal open space. Such developments will result in demand for public open space far exceeding the provision of open space in the area. It is noted that in 2009 against substantial opposition from local residents, Council approved a development application for the site (23 double storey residences). This application was later appealed at VCAT and a much larger development (3 stories, 28 residences) was approved. VCAT considered proximity (within 500 metres) to the Murrumbeena Housing Diversity Area outweighed any minimal change or neighbourhood character considerations. VCAT’s 2009 decision effectively set a precedent for high density “creep” into this minimal change area. Council acquisition of the property for parkland would prevent this “creep” and secure a substantial addition to parkland in an area with a high demand for parkland. Funding (even if the purchase price is higher than the quoted $2.2m) for the purchase should be available from the State Government legislated Open Space Contribution Levy, paid by developers (a maximum 5% of land value at time of subdivision) should enable Council to fund both the acquisition and costs to convert the vacant land to public parkland. In view of the above advantages, GERA strongly advocates that Council avail themselves of this rare opportunity to make a substantial addition to Glen Eira’s well-known lack of public parkland. Comments Off on OPEN SPACE – ANOTHER OPPORTUNITY?